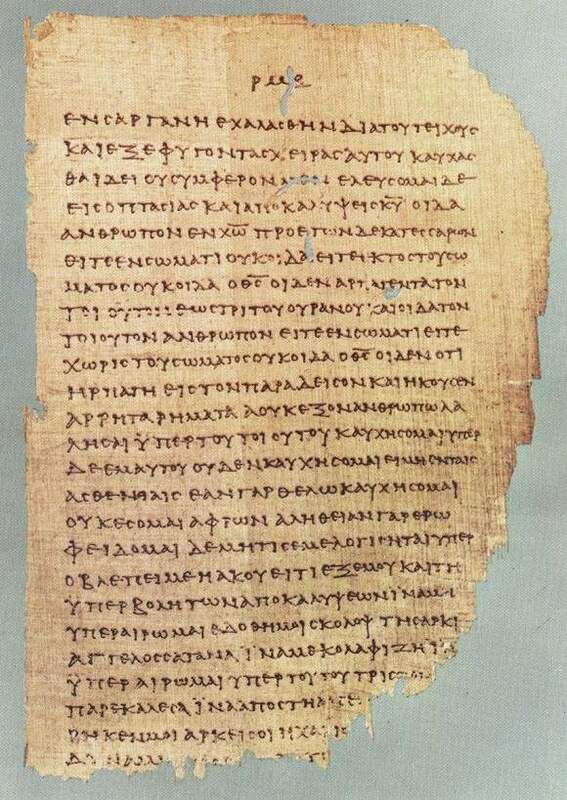 Sha’ul’s letter to the Romans has more references to the Tanakh (Old Testament) than any of his other epistles (letters) – over 60 references! There is an implication by many scholars, past and present, that if you could only have one book of the Brit Chadashah (New Testament) in your possession, the book of Romans would be that book. Romans 1:17 (CJB) 17 For in it is revealed how God makes people righteous in his sight; and from beginning to end it is through trust — as the Tanakh puts it, “But the person who is righteous will live his life by trust.” Habakkuk 2:4 (CJB) 4 “Look at the proud: he is inwardly not upright; but the righteous will attain life through trusting faithfulness. Romans 2:6 (CJB) 6 for he will pay back each one according to his deeds. Psalm 62:12 (CJB) 12 Also to you, Adonai, belongs grace; for you reward all as their deeds deserve. Proverbs 24:12 (CJB) 12 If you say, “We knew nothing about it,” won’t he who weighs hearts discern it? Yes, he who guards you will know it and repay each one as his deeds deserve. Romans 2:15 (CJB) 15 For their lives show that the conduct the Torah dictates is written in their hearts. Their consciences also bear witness to this, for their conflicting thoughts sometimes accuse them and sometimes defend them Jeremiah 31:33 (CJB) 33 “For this is the covenant I will make with the house of Isra’el after those days,” says Adonai: “I will put my Torah within them and write it on their hearts; I will be their God, and they will be my people. Romans 2:21 (CJB) 21 then, you who teach others, don’t you teach yourself? Preaching, “Thou shalt not steal,” do you steal? Exodus 20:15 (CJB) 15 ‏ח‎ (15) “Do not steal. Deuteronomy 5:19 (CJB) 19 ‏ח‎ (19) “‘Do not steal. Romans 2:22 (CJB) 22 Saying, “Thou shalt not commit adultery,” do you commit adultery? Detesting idols, do you commit idolatrous acts? Exodus 20:14 (CJB) 14 ‏ז‎ (14) “Do not commit adultery. Deuteronomy 5:18 (CJB) 18 ‏ז‎ (18) “‘Do not commit adultery. “and my name is always being insulted, daily. and justified in passing sentence. “There is no one righteous, not even one! they use their tongues to deceive. viper’s venom is under their lips. Romans 3:14 (CJB) 14 Their mouths are full of curses and bitterness. Psalm 10:7 (CJB) 7 His mouth is full of curses, deceit, oppression; under his tongue, mischief and injustice. no one treading them will ever know shalom. Proverbs 1:16 (CJB) 16 their feet run to evil, they rush to shed blood. Romans 3:18 (CJB) 18“There is no fear of God before their eyes.” Psalm 36:1 (CJB) 1 Crime speaks to the wicked. before his eyes there is no fear of God. Romans 4:3 (CJB) 3 For what does the Tanakh say? “Avraham put his trust in God, and it was credited to his account as righteousness.” Genesis 15:6 (CJB) 6 He believed in Adonai, and he credited it to him as righteousness. in whose spirit is no deceit! Romans 4:9 (CJB) 9 Now is this blessing for the circumcised only? Or is it also for the uncircumcised? For we say that Avraham’s trust was credited to his account as righteousness; Genesis 15:6 (CJB) 6 He believed in Adonai, and he credited it to him as righteousness. Romans 4:13 (CJB) 13 For the promise to Avraham and his seed that he would inherit the world did not come through legalism but through the righteousness that trust produces. Romans 4:17 (CJB) 17 This accords with the Tanakh, where it says, “I have appointed you to be a father to many nations.” Avraham is our father in God’s sight because he trusted God as the one who gives life to the dead and calls nonexistent things into existence. Genesis 17:5 (CJB) 5 Your name will no longer be Avram [exalted father], but your name will be Avraham [father of many], because I have made you the father of many nations. Romans 4:22-23 (CJB) 22 This is why it was credited to his account as righteousness. 23 But the words, “it was credited to his account…,” were not written for him only. Genesis 15:6 (CJB) 6 He believed in Adonai, and he credited it to him as righteousness. “For your sake we are being put to death all day long, we are considered sheep to be slaughtered.” Psalm 44:22 (CJB) 22 For your sake we are put to death all day long, we are considered sheep to be slaughtered. rather, “What is to be called your ‘seed’ will be in Yitz’chak.” 2 Chronicles 20:7 (CJB) 7 You, our God, drove out those living in the land ahead of your people Isra’el and gave it forever to the descendants of Avraham your friend. Genesis 21:12 (CJB) 12 But God said to Avraham, “Don’t be distressed because of the boy and your slave-girl. Listen to everything Sarah says to you, because it is your descendants through Yitz’chak who will be counted. “Ya‘akov I loved, but Esav I hated.” Malachi 1:2-3 (CJB) 2 “I love you,” says Adonai. But you ask, “How do you show us your love?” Adonai answers, “‘Esav was Ya‘akov’s brother. Yet I loved Ya‘akov 3 but hated ‘Esav. “I will have mercy on whom I have mercy, and I will pity whom I pity.” Exodus 33:19 (CJB) 19 He replied, “I will cause all my goodness to pass before you, and in your presence I will pronounce the name of Adonai. Moreover, I show favor to whomever I will, and I display mercy to whomever I will. “It is for this very reason that I raised you up, so that in connection with you I might demonstrate my power, so that my name might be known throughout the world.” Exodus 9:16 (CJB) 16 But it is for this very reason that I have kept you alive — to show you my power, and so that my name may resound throughout the whole earth. Romans 9:20 (CJB) 20 Who are you, a mere human being, to talk back to God? like potsherds lying on the ground! only a remnant of them will return. will bring about this decreed destruction throughout all the land. we would have resembled ‘Amora. Romans 9:32 (CJB) 32 Why? Because they did not pursue righteousness as being grounded in trusting but as if it were grounded in doing legalistic works. They stumbled over the stone that makes people stumble. Isaiah 8:14 (CJB) 14 He is there to be a sanctuary. a rock that will trip them up. he who trusts will not rush here and there. Romans 10:5 (CJB) 5 For Moshe writes about the righteousness grounded in the Torah that the person who does these things will attain life through them. Leviticus 18:5 (CJB) 5 You are to observe my laws and rulings; if a person does them, he will have life through them; I am Adonai. that is, the word about trust which we proclaim, namely, Deuteronomy 30:11-14 (CJB) 11 (LY: vi) For this mitzvah which I am giving you today is not too hard for you, it is not beyond your reach. 12 It isn’t in the sky, so that you need to ask, ‘Who will go up into the sky for us, bring it to us and make us hear it, so that we can obey it?’ 13 Likewise, it isn’t beyond the sea, so that you need to ask, ‘Who will cross the sea for us, bring it to us and make us hear it, so that we can obey it?’ 14 On the contrary, the word is very close to you — in your mouth, even in your heart; therefore, you can do it! on the name of Adonai will be saved. “Adonai, who has trusted what he has heard from us?” Isaiah 53:1 (CJB) 1 Who believes our report? To whom is the arm of Adonai revealed? and provoke them with a vile nation. by those who didn’t seek me. to a nation not called by my name. isn’t it that God has repudiated his people?” Heaven forbid! of the tribe of Binyamin. 2 Chronicles 20:7 (CJB) 7 You, our God, drove out those living in the land ahead of your people Isra’el and gave it forever to the descendants of Avraham your friend. whom he chose in advance. He pleads with God against Isra’el, 1 Samuel 12:22 (CJB) 22 For the sake of his great reputation, Adonai will not abandon his people; because it has pleased Adonai to make you a people for himself. Psalm 94:14 (CJB) 14 For Adonai will not desert his people, he will not abandon his heritage. Romans 11:4 (CJB) 4 But what is God’s answer to him? right down to the present day.” Deuteronomy 29:4 (CJB) 4 Nevertheless, to this day Adonai has not given you a heart to understand, eyes to see or ears to hear! and covered your heads (that is, the seers). and let their bodies always be stumbling. or from the mouth of your children’s children, now or ever,” says Adonai. sacred poles and sun-pillars stand no more. Romans 11:34 (CJB) 34 For, ‘Who has known the mind of Adonai? Who has been his counselor?’ Isaiah 40:13 (CJB) 13 Who has measured the Spirit of Adonai? Who has been his counselor, instructing him? and made me pay it back? repay those who hate me. and Adonai will reward you. “Love your neighbor as yourself.” Exodus 20:13-15 (CJB) 13 ‏ו‎ 13 “Do not murder. 14 ‏ז‎ (14) “Do not commit adultery. 15 ‏ח‎ (15) “Do not steal. Deuteronomy 5:17-19 (CJB) 17 ‏ו‎ 17 “‘Do not murder. 18 ‏ז‎ (18) “‘Do not commit adultery. 19 ‏ח‎ (19) “‘Do not steal. Leviticus 19:18 (CJB) 18 Don’t take vengeance on or bear a grudge against any of your people; rather, love your neighbor as yourself; I am Adonai. “Because of this I will acknowledge you among the Gentiles and sing praise to your name.” 2 Samuel 22:50 (CJB) 50 “So I give thanks to you, Adonai, among the nations; I sing praises to your name. Psalm 18:49 (CJB) 49 “So I give thanks to you, Adonai, among the nations; I sing praises to your name. “Gentiles, rejoice with his people.” Deuteronomy 32:43 (CJB) 43 “Sing out, you nations, about his people! Let all peoples praise him!” Psalm 117:1 (CJB) 1 Praise Adonai, all you nations! Worship him, all you peoples! and the place where he rests will be glorious. This entry was posted in Verses and tagged bible, Brit Chadasha, comparison, fragment, New Testament, Newer Covenant, Old Testament, old testament references in new testament, Older covenant, oldest, p46, Romans, Tanakh, verse, verses.. Bookmark the permalink.